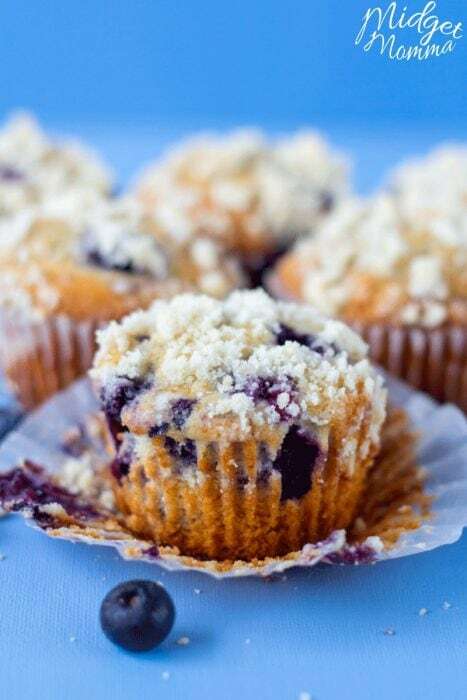 If you are wanting an amazing muffin recipe then you need to make these Blueberry Streusel Muffins. 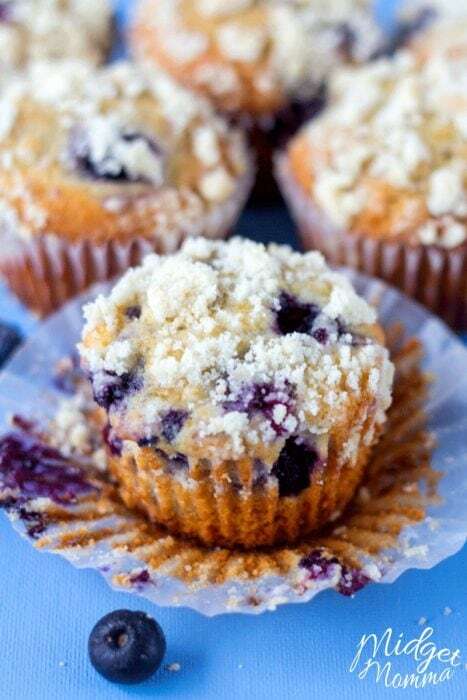 This easy blueberry muffins recipe is a family favorite! 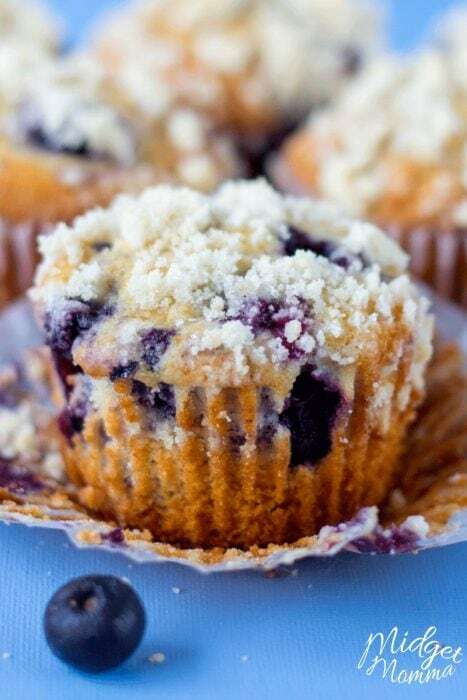 The crumb topping on these blueberry muffins make them perfect for any breakfast! 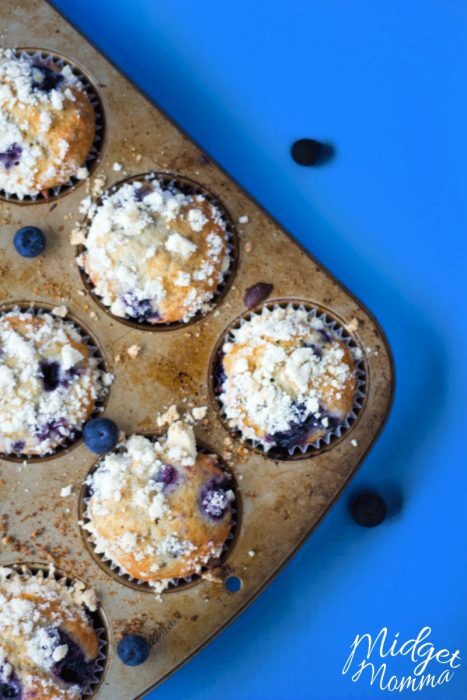 Seriously these easy blueberry muffins are amazing! 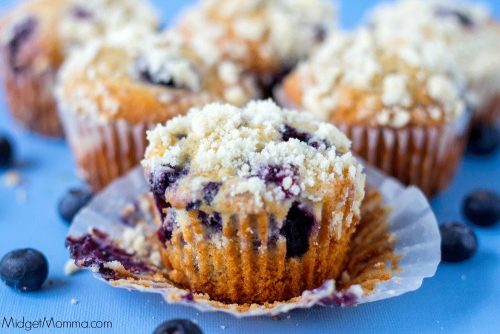 These blueberry muffins with crumb topping are perfect for when you find blueberries on sale, go blueberry picking or have a TON of blueberries that you do not know what to do with. These homemade blueberry muffins will remind you of those amazing muffins that you get from a bakery. 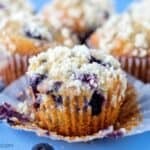 Anytime I make these Blueberry Streusel Muffins they do not last long, so I find myself making double batches at a time! These blueberry muffins from scratch are something I like to make when we are meal planning. 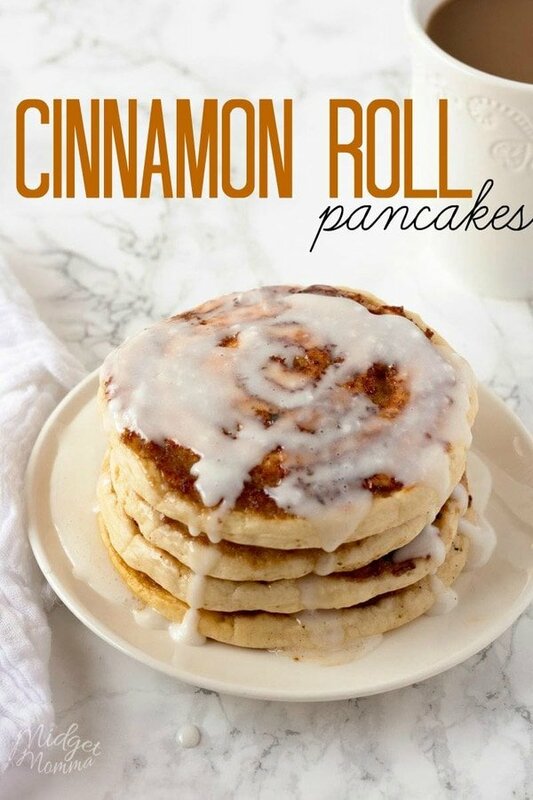 They are always a hit with the kids for breakfast so they are one of the best recipes to keep in the freezer! You can easily double or triple the recipe when making these moist blueberry muffins. But I will give you fair warning even doing that you will probably have to make them often because they won’t last long in the house! If you are looking for a less messy way to fill your muffin cups when making blueberry muffins with streusel topping this Batter Dispenser with Measurement for Muffins is perfect!! 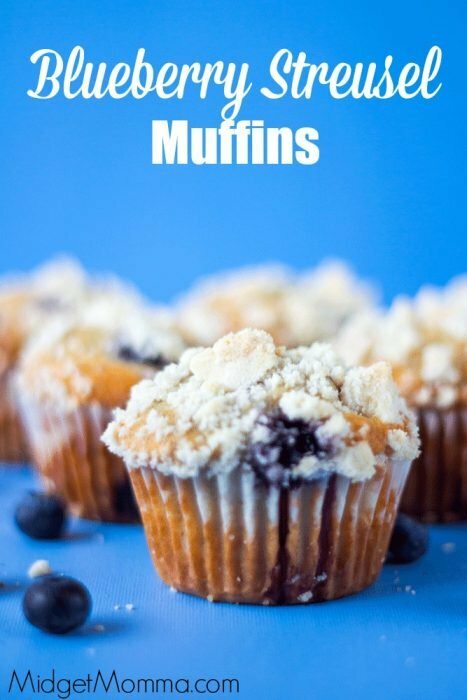 It is really easy to make these homemade Blueberry muffins with streusel topping, when you follow the awesome recipe below! Preheat oven to 350 degrees. Line your muffin pan with paper muffin liners. Start by making your streusel topping. In a small bowl combine the flour, sugar and butter. To make the crumbles start by pinching your fingers together in the mixer until crumbles form. 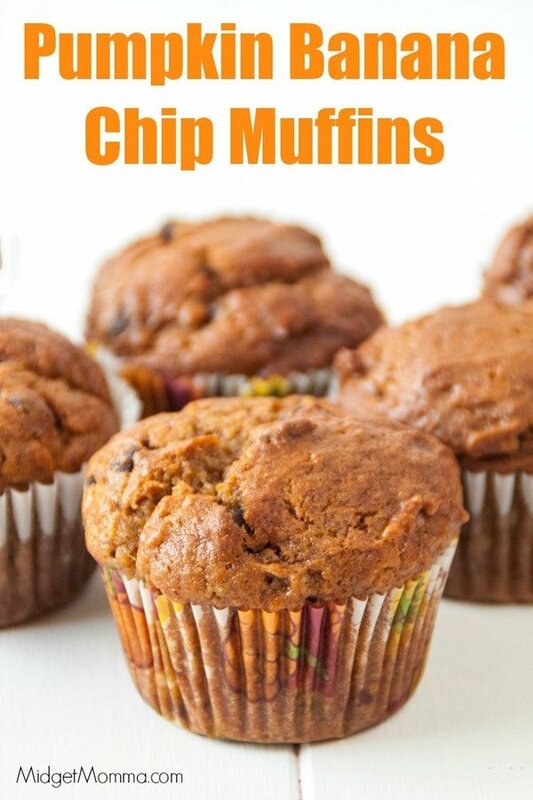 Set aside until your muffin batter is ready. In a small bowl, whisk together flour, baking powder and salt and set aside. In a large bowl, beat butter and sugar until light and fluffy. Add eggs, vanilla and milk. Add flour mixture and stir until just combined. Carefully stir in blueberries. Bake for 20 to 25 min, until a tester inserted into the center comes out clean. Even more tasty recipes to try! 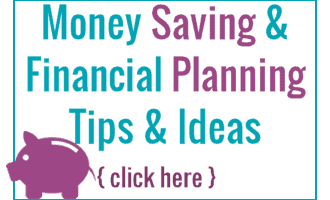 If you love Blueberries, be sure to check out these other amazing and tasty recipes too! Do u defrost the frozen blueberries? No you will leave them frozen.